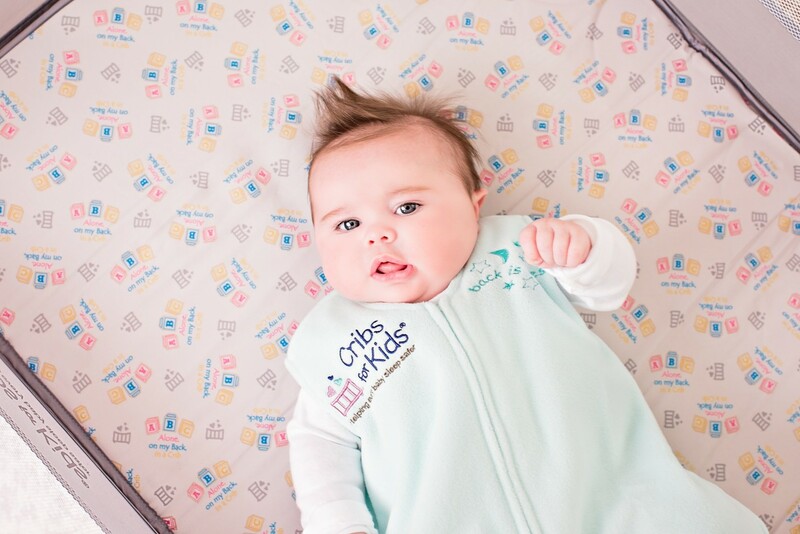 Versatile and compact, our Cribette features infant safe sleep messaging that coordinates with nearly any style with the multi-color print fabric. It is constructed from made-to-last materials to ensure safety, stability and longevity. 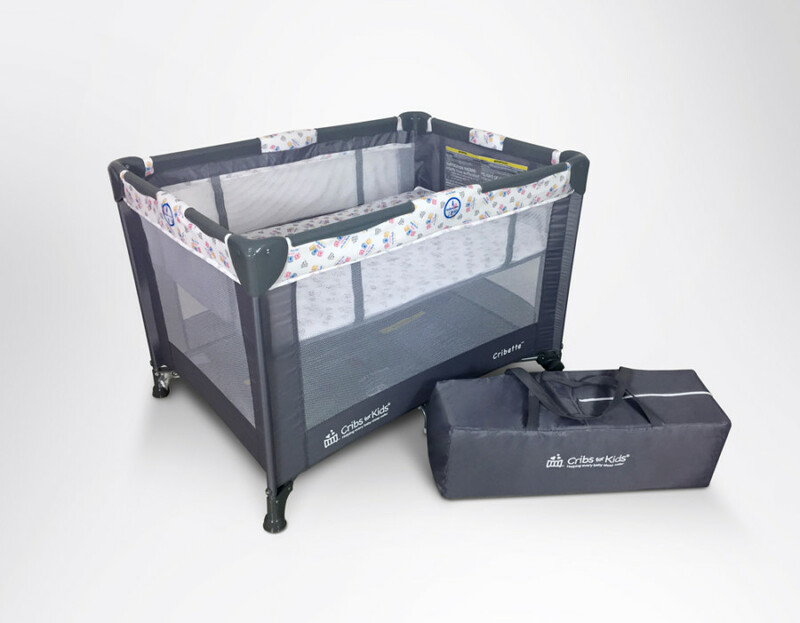 This compact design is easy to transport and effortlessly converts from a full-size bassinet to a safe sleep space for infants up to one year of age. 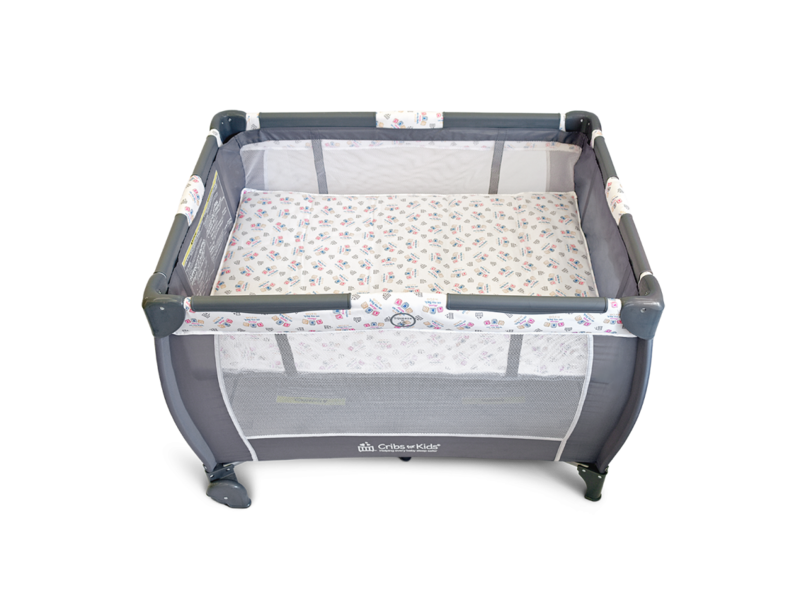 Rigorously tested to meet or exceed all required and voluntary safety standards enacted by the US Consumer Product Safety Commission, the American Society of Testing Manufacturers and the Juvenile Products Manufacturers Association in the play yard category. 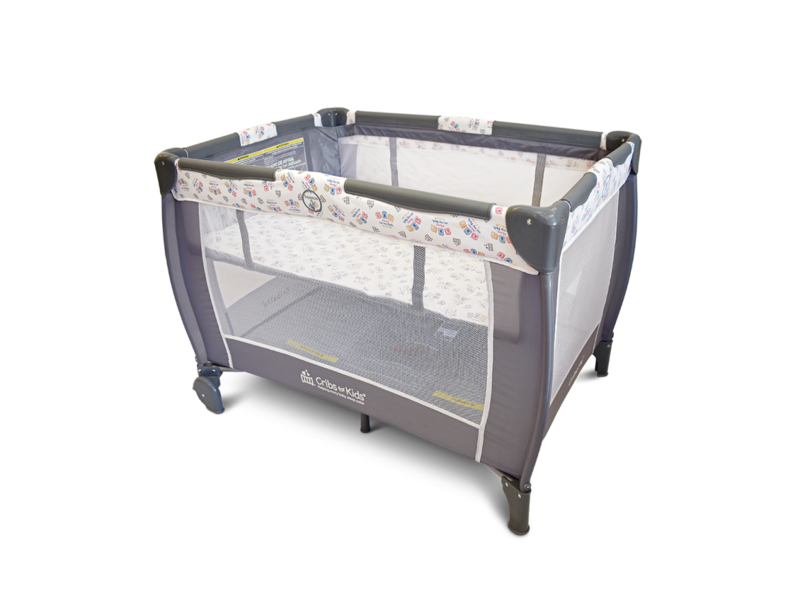 The Cribs for Kids® Exclusive Unit meets all ASTM F-406, JPMA, and CPSIA safety requirements and has the safest Air Permeability test of 93.9. Mattress offers two varying height options to accommodate your growing baby and to facilitate breastfeeding. Easily adapts from full size bassinet to portable crib. Use only a fitted bottom sheet that is specifically made for the Cribette. Do not place decorative pillows, quilts, comforters, sheepskins or stuffed animals in the Cribette while your baby is sleeping, as they may prevent proper air circulation around your baby’s face. When your child is able to push up on hands and knees discontinue use of the bassinet feature. Clean with household soap and warm water. Drip dry. NO BLEACH. Machine wash carry bag in lukewarm water. Bassinet: To help prevent falls, do not use the bassinet when the infant begins to push up on hands and knees or weighs over 15 pounds (6.8 kg), whichever comes first. Cribette: Stop using the Cribette when the child reaches 35 inches (89 cm) in height, weighs more than 30 pounds (14 kg), or is able to climb out.